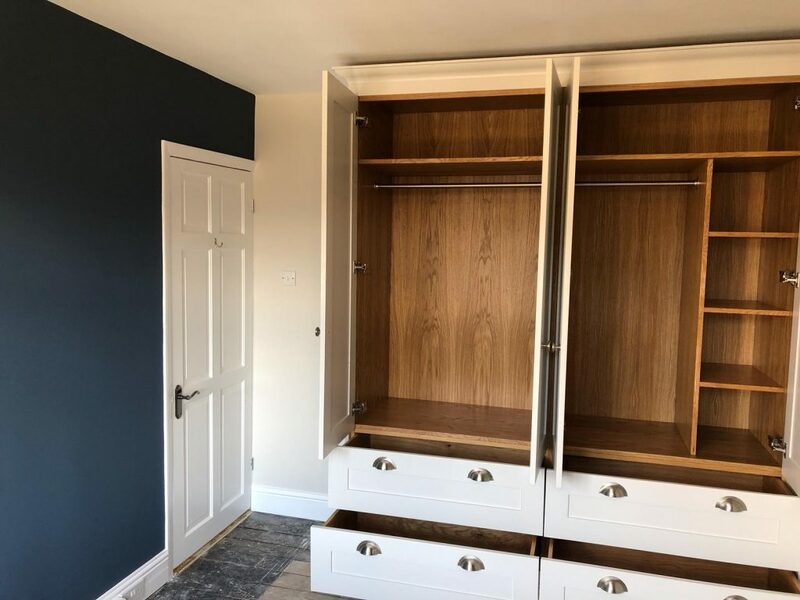 home Archives - M&R Painting Contractors Ltd.
We decorated the brand new & gorgeous fitted wardrobes, stripped the ceiling and walls, then lined and painted the ceiling, walls and woodwork to give the customer a flawless finish throughout! 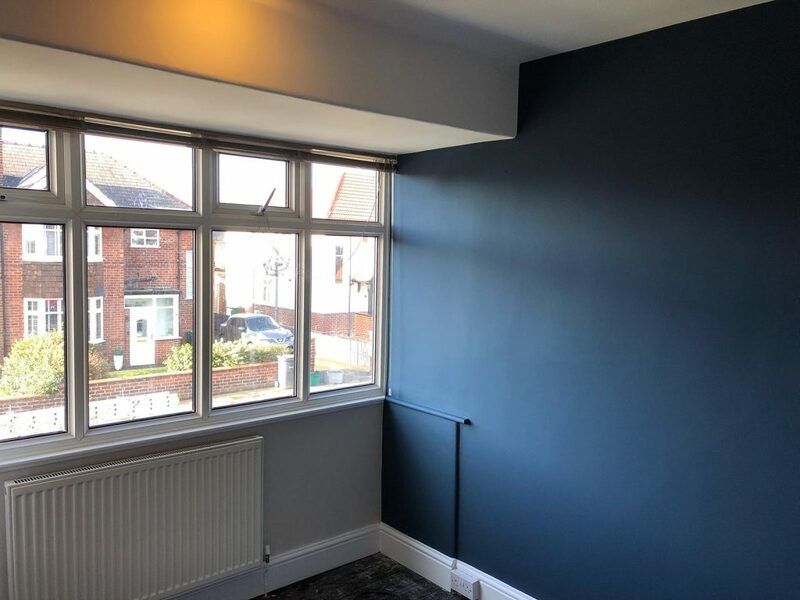 The customer chose to have a beautiful blue feature wall while opting for more neutral shades for the wardrobes and walls. As you can see, the customer was also having new carpets fitted following the decorating work. We understand the importance of completing projects by certain deadlines, especially when multiple trades are booked in. The gorgeous wardrobe upon completion! 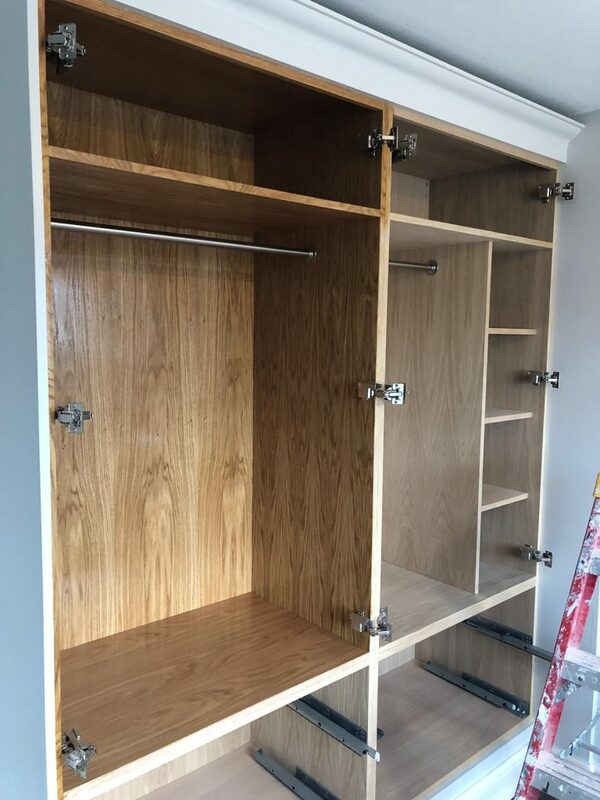 The oil we used for inside the wardrobes really brings out the grains in the oak wood. The walls were in very bad condition – no problem, we still achieved a flawless finish! We love this beautiful feature wall! 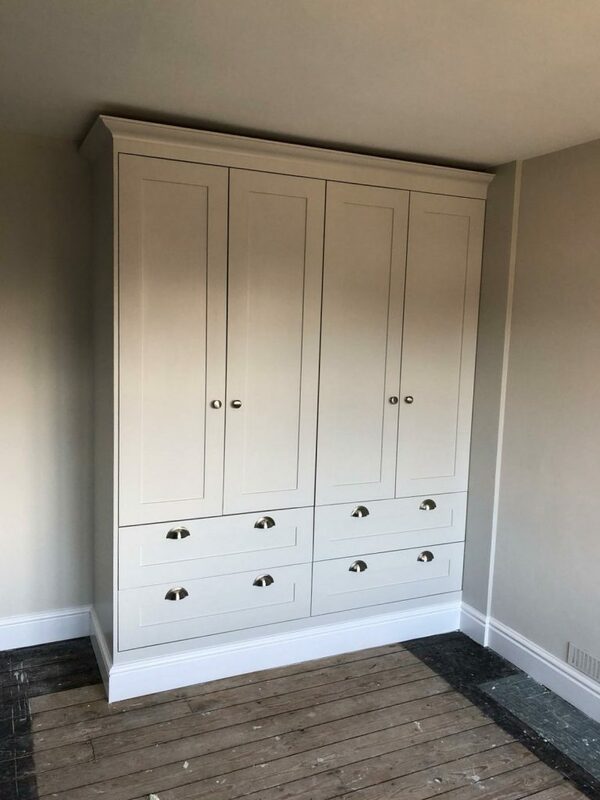 On this particular job the wardrobes were brand new, however we decorate all furniture: old as well as new. Get in touch with us to find out more about giving both your furniture and room a full makeover! A very easy and hassle-free way to spice up your living room is to create a feature wall. 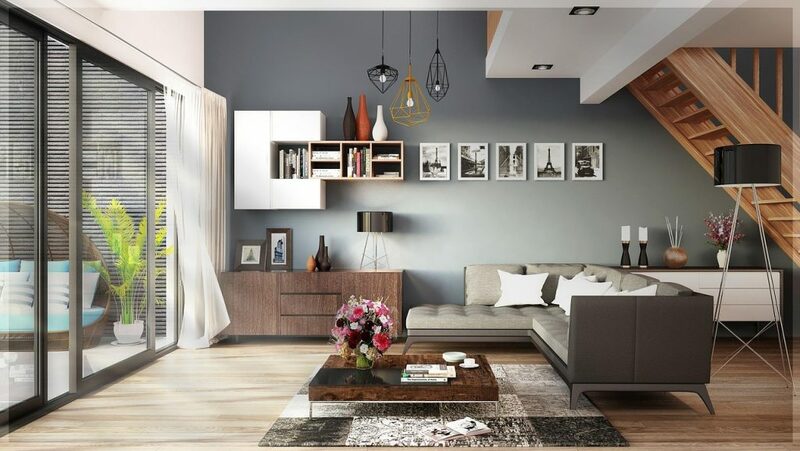 Choose a wall colour or wallpaper that you love, add some wall lamps, beautiful frames in different sizes with photos and posters – anything you like! In smaller rooms, it doesn’t always work to have too much going on on every wall, as it may make the room feel smaller than it is. That’s why a feature wall is a great way to add style and personality to a room without making it feel cramped. Let the other walls be more or less plain and focus on your feature wall to make the room look & feel nice and cosy. Whether you fall in love with a beautiful Farrow & Ball colour or decide to go for some new gorgeous wallpaper is entirely up to you – the options are endless, so take your time before you make up your mind! 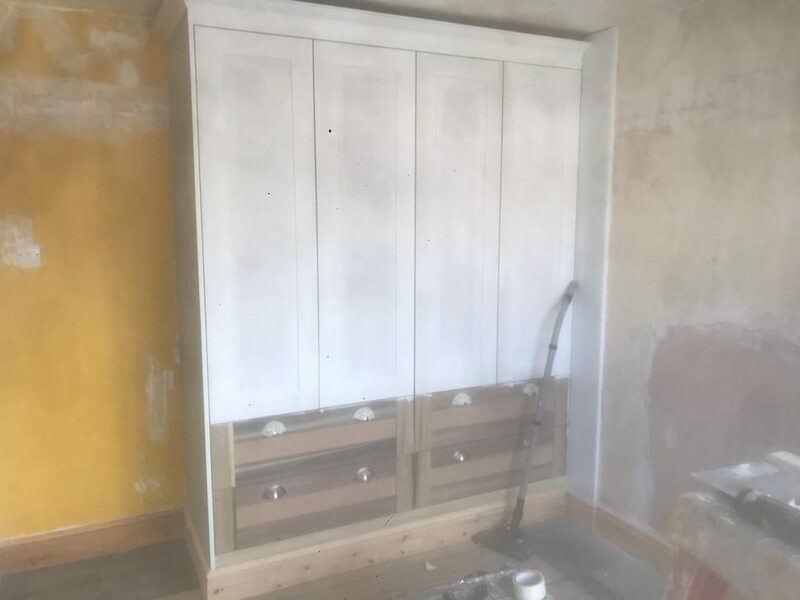 If your kitchen is still in good condition, but you’ve changed your mind about the colour or finish, we are right here to give it a makeover! Have your kitchen feel brand new with a fresh new colour and a different finish by having it sprayed. 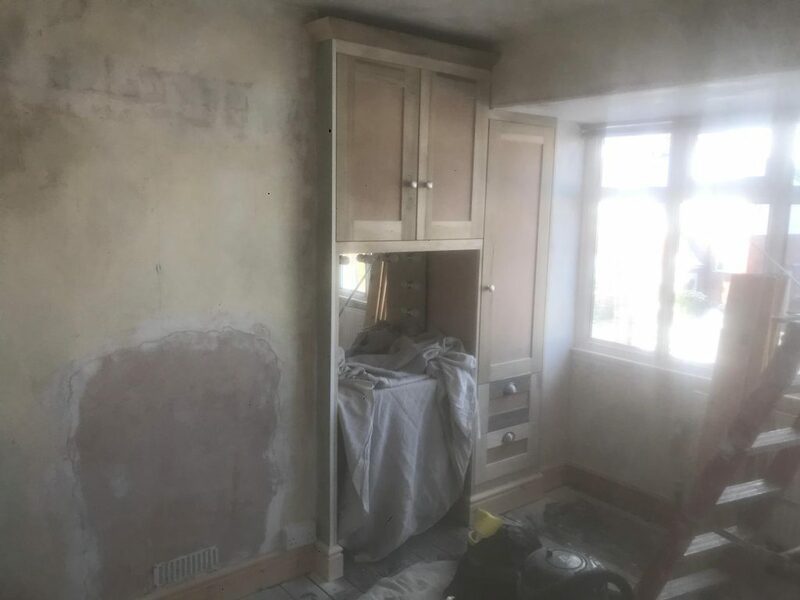 That way you don’t have to spend a fortune on new units, and you avoid the hassle and high cost of removing the old kitchen and having the new one fitted. You’ll still have that amazing feeling of a new kitchen, plus you can choose exactly the colour you want. When you’re looking for a new kitchen, it doesn’t always come in the colour you really want – that’s why spraying it is a brilliant way of making it unique and suit your personal style. You’ll be amazed what a difference it can make to have your bedroom redecorated, and adding a couple of new cushions, new bed sheets and a luxurious throw to your bed. Try mixing and matching different shades with a couple of bold colours as well as different fabrics. It really doesn’t take much to give your bedroom a quick makeover and it can be lots of fun playing around with colours and fabrics to find out what you like! 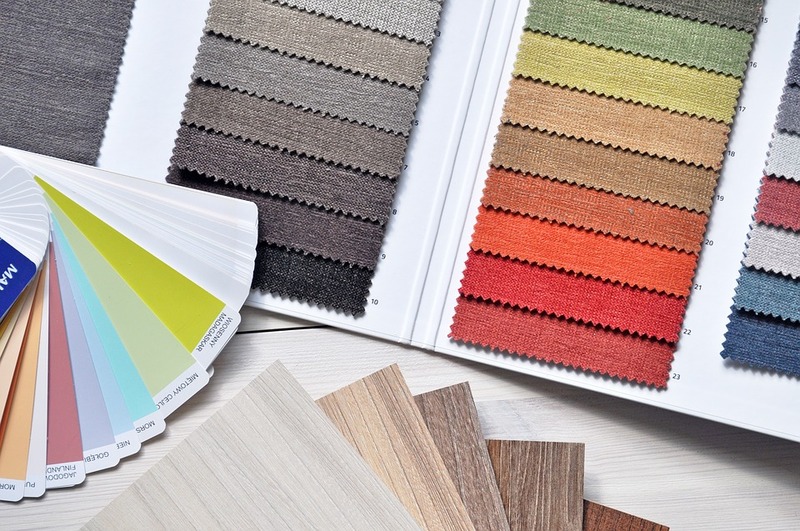 For inspiration, you can always request a colour chart from us to compare and match. Should you require any guidance or advice regarding finishes and colour combinations we are here to help you decide. The hall, stairs & landing area is usually the first thing you see entering your home – you want to make that a good impression! Keeping it tidy, nice and fresh looking is key to instantly feeling good when you come home after a long day – or, to impress any visitors! New wallpaper is a great way to give your hall, stairs & landing a new look and completely change the first impression stepping into your home. 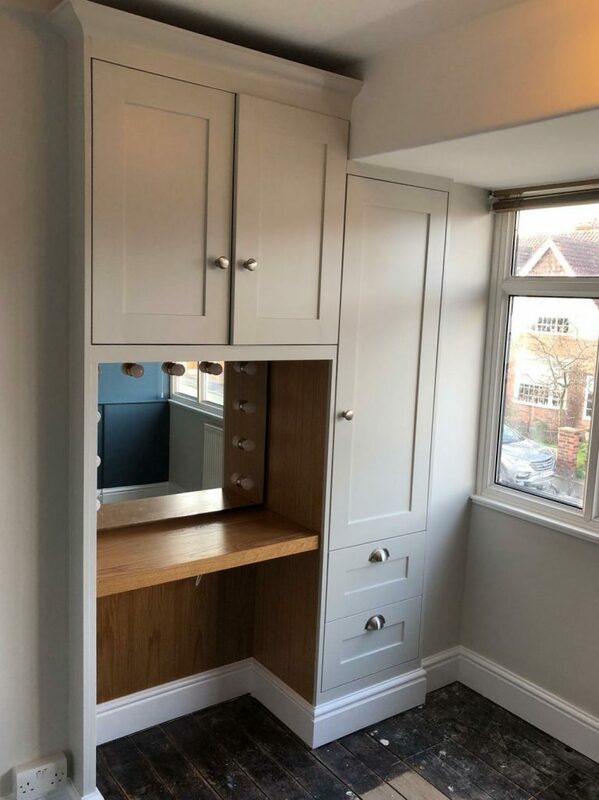 Considering replacing your old solid wood furniture for something different? There’s no need to replace your sturdy old furniture to change the style and feel of the room. We offer hand painting and spraying of furniture, which is a fantastic way to revive older furniture. If it’s in decent condition, there’s really no need to get rid of it. We’ll take care of any marks or scratches we come across, so that it’ll look & feel as good as new. Just pick your favourite colour and finish and let us do the rest! A fresh new colour and beautiful finish can go a long way to brighten up the whole room for years to come. For more inspiration and home transformations, don’t forget to follow us on Facebook and Instagram. To get in touch, send us an email or call us – we’d love to hear from you!